Above: A photograph taken as I was preparing to migrate to Australia. In the top row are: myself, Afroula Donga and my brother, Evriviades. 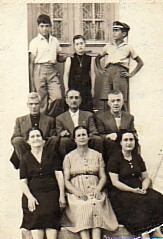 In the middle row are: my father, Dimitrios, an uncle and Sophocles Malakellis. In the front row are: my mother, Vasiliki; Ekaterina Donga and Chrysoula Kazantzi. Above Middle: At Kaboud' where I used to sell nuts as a fourteen year old. 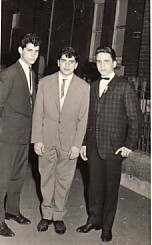 L-R: Georgios Kalellis, my brother, Evriviades (top), Dimitrios Petinellis and myself. 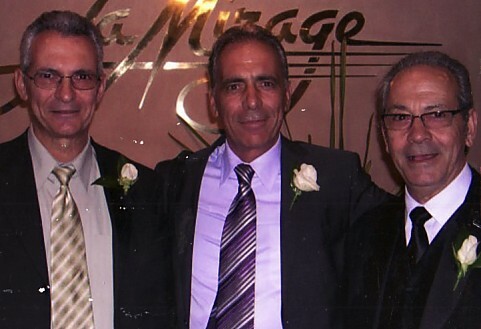 Above Right: Sydney, with my friends and horiani, Ioannis Kazantzis and Dimitrios Petinellis. I am first from the left. 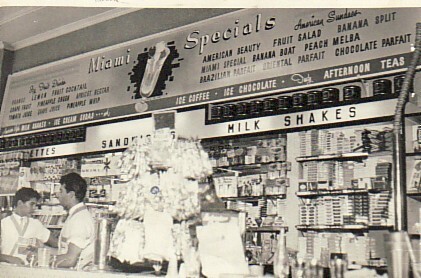 Above: Working in the Miami Milk Bar, George St, Sydney, which was owned by Theo Carides at the time. This was my first job in Australia. 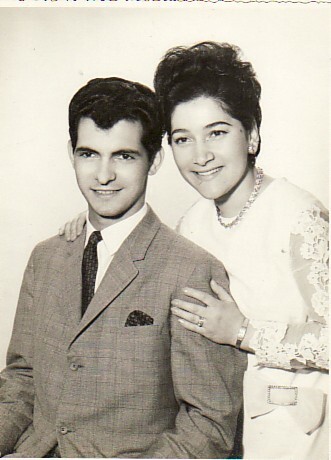 Above Right: At my engagement party with my fiance, Martha Demata. 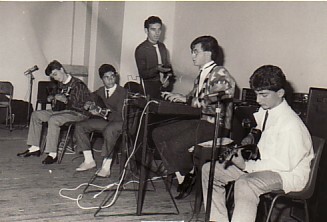 Above: My sons, Dimitrios and Vasilios, practise with their band- at the Mytilenian House. L-R: Christos Biris, Vasilios Stafidas, Athanasios Biris, Konstantinos Christofaris and Dimitrios Stafidas. 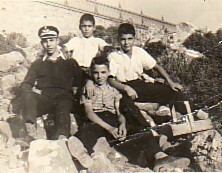 Above Right: With my brothers, Evriviades and Efstratios. This photograph was taken while my brother, Evriviades, was visiting Australia. Above: At our family business, Peter's Snack Bar in Surry Hills. with my wife, Martha. 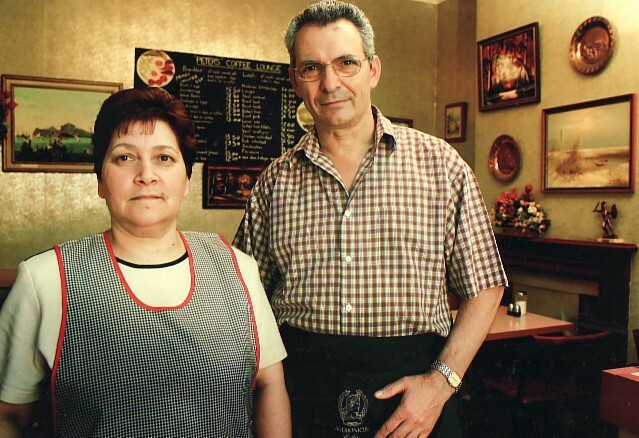 We owned the businessfor almost thirty years (1980-2008).